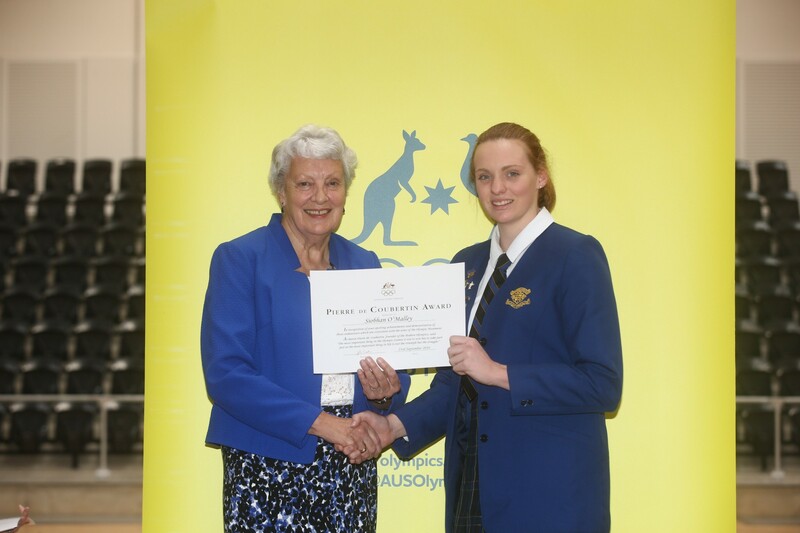 To Siobhan O’Malley (Year 12) who has been awarded the Pierre de Coubertin Award in recognition of her sporting achievements and endeavours which embody the aims of the Olympic Movement. To all rowers who competed in the SGHS Regatta at Iron Cove last weekend. With 51 Loreto Normanhurst entries across single scull, double, quad and eight events, 36 entrants placed in the top 3 positions. Congratulations to all rowers on an outstanding achievement and continued high performance. To Bailey Henderson (Year 8) who has been selected to play in the U15 NSW Metro team in a National Softball tournament in Perth, WA. The week long tournament will be against all other States, from 15 – 21 January next year. We wish Bailey all the best as she prepares for competition. To Sophie Dwyer (Year 9) who has been selected into the U20s ERNA HAWKS premier league netball team for 2017. Congratulations Sophie on this incredible selection. To the Intermediate Girls Athletics Team who have been successful in making the National Finals for the NSW Schools Knockout Competition. We wish Lauren Marshall (Year 10), Elia Harvey (Year 10), Isabella Rudolph (Year 9), Caitlin Von Behr (Year 9), Elizabeth Chippendale (Year 10), Zoe Warland (Year 9), and Sarah Playford (Year 11) all the best of luck when they compete in Canberra on Monday. 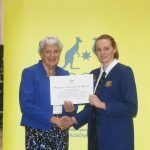 To Juliette Lahood (Year 8) who represented in the Australian Taekwondo team at the Oceania Taekwondo Championships in Fiji last weekend. Juliet won Gold in her sparring division and is now the Oceania Champion title holder. Congratulations Juliette on not only your most recent achievement in Fiji, but also for all the hard work and preparation you have put into each level of competition to reach this International level. Well done! To all girls competing in their final Touch Football matches this Saturday. To all rowers competing in the Sprint Championships on Sunday at Penrith. To all girls competing in the school swimming carnival at Homebush next Tuesday. To Lauren Marshall (Year 10), Elia Harvey (Year 10), Isabella Rudolph (Year 9), Caitlin Von Behr (Year 9), Elizabeth Chippendale (Year 10), Zoe Warland (Year 9), and Sarah Playford (Year 11) who are competing at the Athletics National Finals for the NSW Schools Knockout Competition next week. A PowerPoint presentation of the uniform can be found on the Student Sport Portal which students can access. To see the full range please see the PowerPoint slideshow in the Sports Portal. Duties involve cooking BBQ or serving. If you are unable to fulfil your duty you must arrange a replacement (contact other day girls’ families in your team from the team contact list). Term 1 2017 Secondary Activity online nominations are now open. Online nominations will close on Thursday 8 December. Term 1 2017 Secondary School Sport online nominations have now closed. Girls who still wish to nominate for a Term 1 Sport must request a nomination form from the Sports Office. Term 4 Secondary School Activity online nominations have closed. Contact Mr Thompson on 0414 708 701 for more information. All girls undertaking any Adventurous Journey must complete/update their medical forms online via the Southbound Adventures website. Instructions to do this are available via Canvas and from the Sports Office. All information regarding the Duke of Ed program is available via Canvas and from the Sports Office. Repetitive information has been removed and is available on the Sport section of the Student Portal. If you have news that you would like to see included in the Sports Report please email Jasmine.